Recently, Japan’s leading music industry’s staff sigh for despair because young Korean artists’ popularity. Thailand, Taiwan and other Asian countries’ important music territory are being occupied by Korea’s TVXQ, Big Bang and other Korean artists but before, idols’ market has always been occupied by Japan’s bands. In Asia, the best with singing are the Koreans, this kind of right saying are heard a lot. SMTown concert was held in Bangkok with 40 000 audiences filled the stadium. SM artists like TVXQ, SJ, Jang Ri In, SNSD and SHINee uses ‘are u happy’, ‘I love you’ and other phrases in thai to greet everyone, causing fans to cheer more. Overall, though Korean Wave is a bit stagnating/dull but the music heat phenomenon did not cascaded. 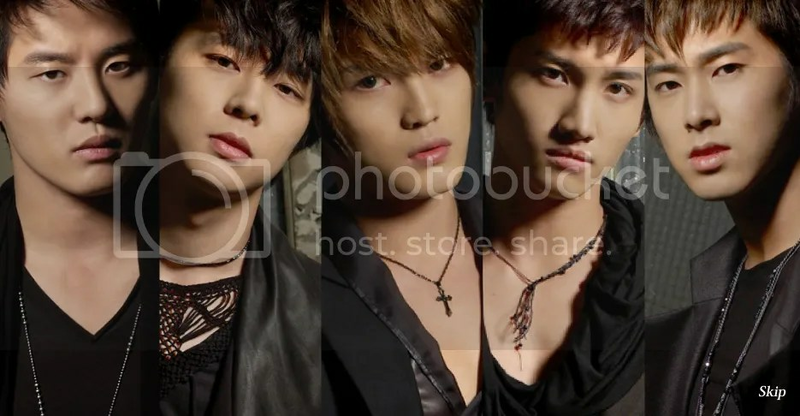 This entry was posted on March 3, 2009 at 2:22 PM and is filed under Translations with tags TVXQ. You can follow any responses to this entry through the RSS 2.0 feed. You can leave a response, or trackback from your own site.